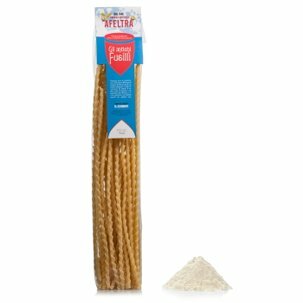 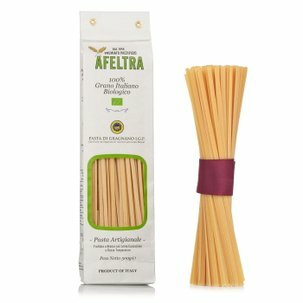 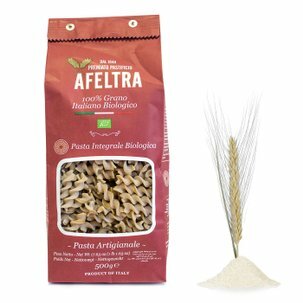 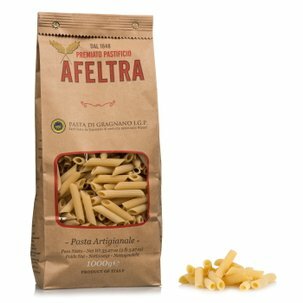 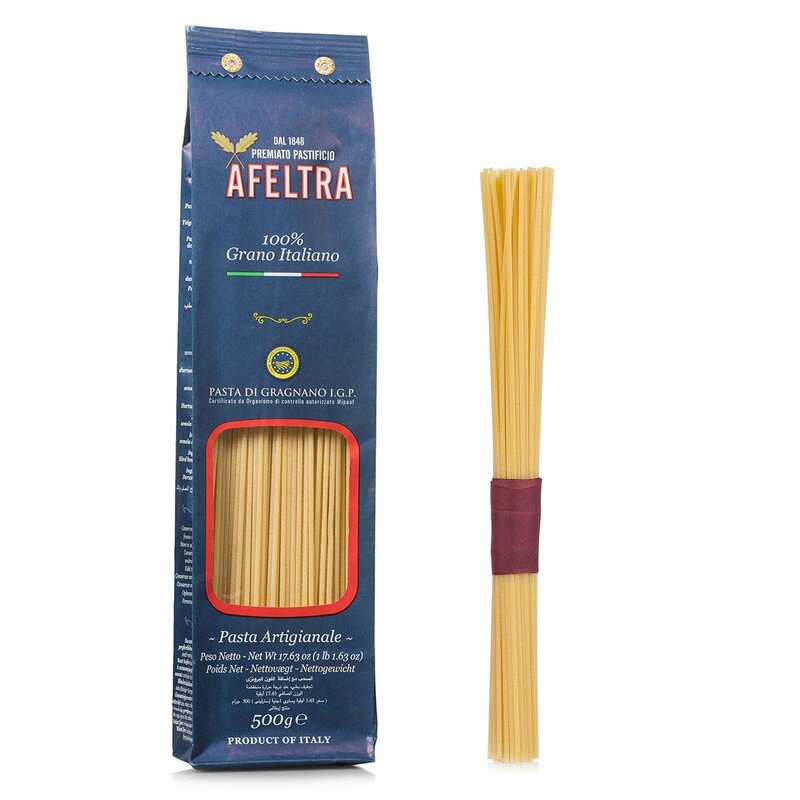 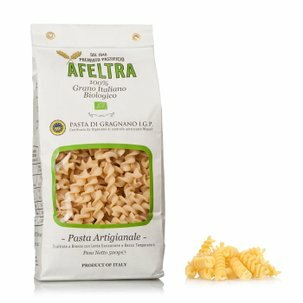 The Afeltra spaghetti are produced using carefully selected 100% Italian wheat that is processed by hand and extruded through bronze dies according to the most ancient tradition of Gragnano. 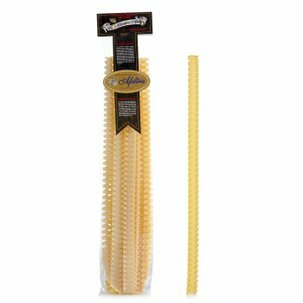 An exceptional pasta that remains firm when cooking and a unique flavour, and that has a coarse and very porous surface that is ideal for holding all your sauces, even the richest ones. 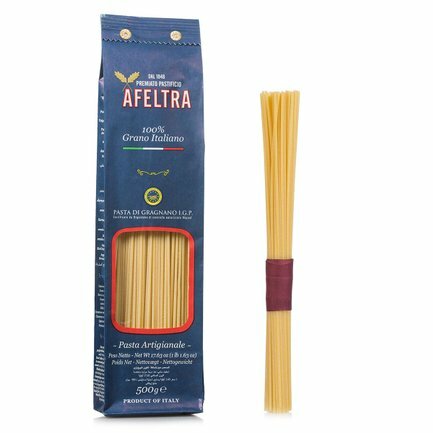 These spaghetti are perfectly matched with a simple tomato and basil sauce, as well as with sauces that require long pasta, such as the traditional carbonara.